If you’re young and single, you may think I’m talking about those little glasses of vodka or whiskey meant to be downed in one quick swallow. If you’re a parent of school-aged children, you know I’m talking about back-to-school vaccinations, which are not nearly so enticing. Measles – About one out of 10 children with measles also gets an ear infection, and up to one out of 20 gets pneumonia. For every 1,000 children who get measles, one or two will die. On April 23, 2014, the FDA issued a Drug Safety Communication about corticosteroids administered through epidural injection. Commonly used for back and neck pain, the injections may cause permanent blindness, stroke, paralysis, and death, according to the FDA’s warning. Other serious adverse events have included spinal cord infarction, seizures, nerve injury, and brain edema. The reactions may occur within minutes or up to 48 hours after the epidural corticosteroid injection. The drugs’ labels will now have to carry a warning that these serious consequences can follow when the steroid is administered by spinal injection. Injectable corticosteroids include methylprednisolone, hydrocortisone, triamcinolone, betamethasone, and dexamethasone. The FDA never approved corticosteroids for injection into the epidural space of the spine. 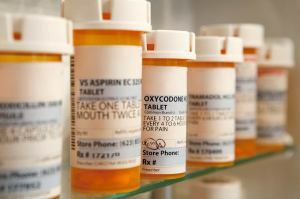 For decades, however, doctors have been using them in this “off-label” fashion for treatment of chronic pain. They are, in fact, a common form of pain intervention. 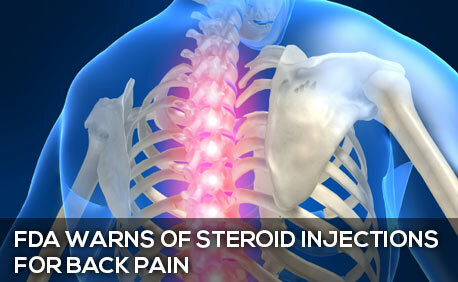 In 2011, nearly 9 million Americans received epidural steroid injections. As we wrote not too long ago, South Carolina is in the Diabetes Belt, with about 450,000 of our residents suffering from diabetes. In the news this week is an announcement by the Federal Drug Administration (FDA) that prescription drug Avandia will now be widely available to treat type 2 diabetes. This represents an about-face by the agency, because they restricted use of Avandia after 2007 clinical trials indicated the drug increases the risk of heart attacks or death. A low country pain clinic was one of the healthcare facilities that received a batch of tainted steroids linked to the deadly meningitis outbreak. “Unfortunately, our practice was one of those provided medications from the manufacturer [New England Compounding Center]. We were notified by the South Carolina Department of Health and Environmental Control (DHEC) on Friday, September 21st that we had received suspect medicines from lots produced between July 31 and September 16. We immediately removed all vials of the medication from use and returned them to the manufacturer. Researchers have uncovered a possible link between a common drug used to treat diabetes and an increased risk of vision problems, according to a HealthDay report. According to the study, which first appeared in the online edition of the Archives of Internal Medicine, users of thiazolidinediones may be two or three times more at risk of a serious problem with their vision, called macular edema. Macular edema, according to the National Eye Institute, is a condition in which fluid leaks into the macula, or the part of the eye where sharp, straight-ahead vision happens. The fluid then makes this part of the eye swell, which causes blurry vision. This means more trouble for users of Actos, Avandia and similar drugs, since thiazolidinediones are in both Avandia and Actos, and are used to help control blood sugar in people with diabetes. We’ve written before about the bladder cancer risk linked to Actos, and the HealthDay report mentions the links between Avandia and serious risks of heart problems. For the study, which was carried out in England, lead researcher Dr. Iskandar Idris and his team looked at data from more than 100,000 people with type 2 diabetes. At the start of the study, none of those 100,000 people had macular edema. After one year, however, diabetes patients in the study who were taking Actos, Avandia, or other thiazolidinediones developed the eye problem more than six times as often as the diabetes patients who didn’t take those drugs. Drug company giant GlaxoSmithKline made U.S. history recently in an agreement with U.S. authorities requiring the company to pay a $3 billion healthcare fraud settlement. The GlaxoSmithKline deal with the U.S. Department of Justice also has the drug maker pleading guilty to three misdemeanor criminal counts. The criminal counts are linked to three different GlaxoSmithKline drugs: Paxil, Wellbutrin and Avandia. News about the settlement says that $1 billion will go toward settling criminal complaints leveled against the company, and the other $2 billion will go toward settling civil fines. It seems medical research linking diabetes drug Actos to bladder cancer just keeps piling up. A new study from Canada, recently published in the Canadian Medical Association Journal, found that the common diabetes treatment may be involved in raising bladder cancer risks for users by as much as 22 percent. The authors of the new study say that they still aren’t sure how or why pioglitazone, the drug in Actos, is linked with the higher cancer risk. Senior study author Jeffrey A. Johnson says that recent studies of the drug’s effects in animals show that Actos may cause crystals to form, which might then irritate the bladder and trigger the increased cancer risk. Current studies show that, overall, people with type 2 diabetes have about a 40 percent higher risk of developing bladder cancer than other people. Doctors think this may be because people with this type of diabetes have increased levels of insulin, a chemical produced by the body to help digest food, in their bodies. After a five-year study, the U.S. Food and Drug Administration (FDA) recently announced that patients who took certain medications for diabetes may now have a much greater risk of bladder cancer. According to the FDA safety announcement, those who took the prescription drug pioglitazone, sold under the brand name Actos, may be at risk. The drug is also a part of diabetes medications sold under the names Actoplus Met, Actoplus Met XR, and Duetact. These prescriptions are used most often in the treatment and control of type 2 diabetes in adults. Also according to the FDA, 2.3 million patients filled prescriptions for medications containing the drug pioglitazone in the first 10 months of 2010. The FDA safety announcement is the result of both the five-year data review by the FDA and a recent study in France, which showed that exposure to pioglitazone increases the risk of bladder cancer over time. A former University of Utah football player has filed a product liability lawsuit against the makers of the Stryker pain pump after claiming use of the pump after shoulder surgery resulted in permanent shoulder damage. The man developed chondrolysis, severe loss of cartilage in the joint, and his lawsuit claims Stryker Corp. should have known about the risk of cartilage problems associated with the use of their pain pumps. The suit claims that the treating doctor would not have used the pump for pain management had he been aware of the risk of chondrolysis. In 2009 FDA required manufacturers of pain pumps to add warnings about the risk of chondrolysis from shoulder pain pumps. Several other shoulder pain pump lawsuits have been filed claiming chondrolysis-related injuries.